Check out other bloggers, inspired by their own ‘earworms’. Thanks for the pingback! 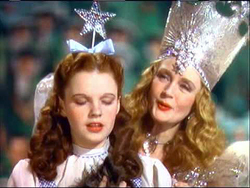 I hope you have a few good friends, perhaps a tin man, a scarecrow and a lion, to help you on your journey to find your yellow brick lane. Aw, thanks! Tin man was a great choice, that’s awesome. I guess I married one myself, as well. Great post…What somebody once told you seem to me true. I’d just like to remove the word “simply”. We’ve moved a lot as well, and while we really enjoy meeting new people and having new experiences it’s sometimes hard living in limbo. For us, it’s gotten to the point where we no longer know where to call home. Love that quote from your friend. I can totally relate! Glad you liked the post, and could relate to it, somehow, Littlemisswordy! 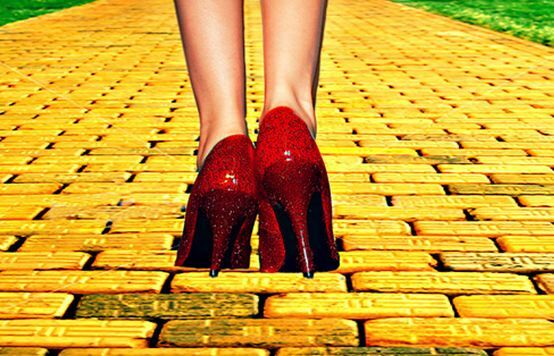 Moving every so often is hard, yet, not impossible to deal with the challenges and the constant adjustments… I also don’t know what is ‘home’… even though, I believe we’re all trying to discover the ‘yellow brick road’ that [one day!] will lead us there! Thank you for taking the time to stop by and share your thoughts – much appreciated! I’m sure that one day you’ll just know. That ‘one day’ when one knows exactly where to go… and when to answer that ‘one special call from home’… 😮 Thank you! Nice reflection, and extremely well written! so true.. i have moved a lot, and i always have a separation anxiety for the flowers in my yard.. it seems then they’ve just hit maturity, i move on! ah, but the people we meet and the experiences that are waiting for us.. we follow our destiny! At that time, I thought it was quite a cold statement, but the more I live, the more i move, and the more I have to bring people in/let people depart from my life… the more I understand the quote! 😮 Thanks for taking the time to stop by and comment! Next Next post: Snapshots of R&R in the USA: Fourth Stop, “Experiencing the Story of America’s Beginnings”.